Moringa is known around the world as a rich source of vegetable protein (30%). It contains 18 amino acids including all 8 essential amino acids, 47 active antioxidants, 36 anti-inflammatories. 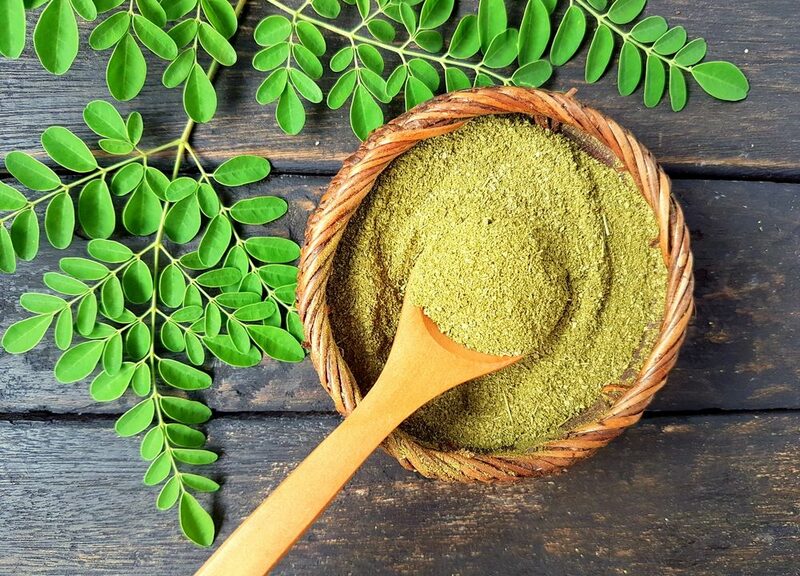 In addition, Moringa powder contains 7x the Vitamin C found in oranges, 4x the Vitamin A of carrots, 4x the calcium of milk, 3x potassium of bananas and essential minerals such as zinc and iron. 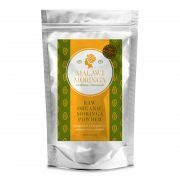 Moringa oleifera is nature’s whole-food complex, which makes it easy for your body to recognise, absorb and assimilate. Recent studies prove it to be the most potent superfood in existence. 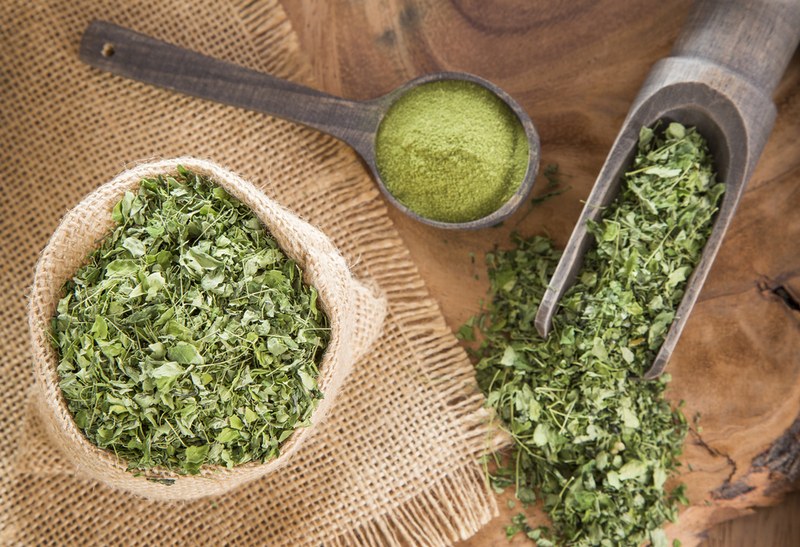 Moringa powder is the perfect addition to your daily green juice or smoothie. 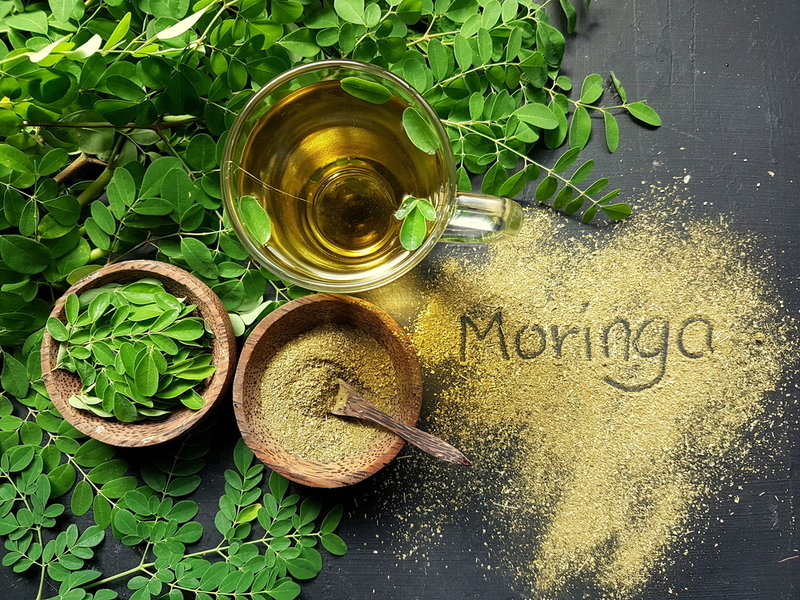 Originally used in Himalayan medicine for 5,000 years, Moringa made its way to Africa and has been used for centuries to make up the nutritional deficit and to fight malnutrition in developing countries’. Moringa is now a highly desirable powdered SUPER FOOD used by busy people, athletes, body builders, expecting & lactating mothers, growing children and chronically ill persons. “I personally think we can wipe out malnutrition in sub-Saharan Africa or anywhere else there is a malnutrition problem” says Steven Putter, executive director of the Imagine Rural Development Initiative. Indians use it for treating high blood pressure, while ancient Egyptians applied it topically to prevent infection. In the Caribbean, Moringa is used to treat warts in Aruba and eye infections in Puerto Rico. 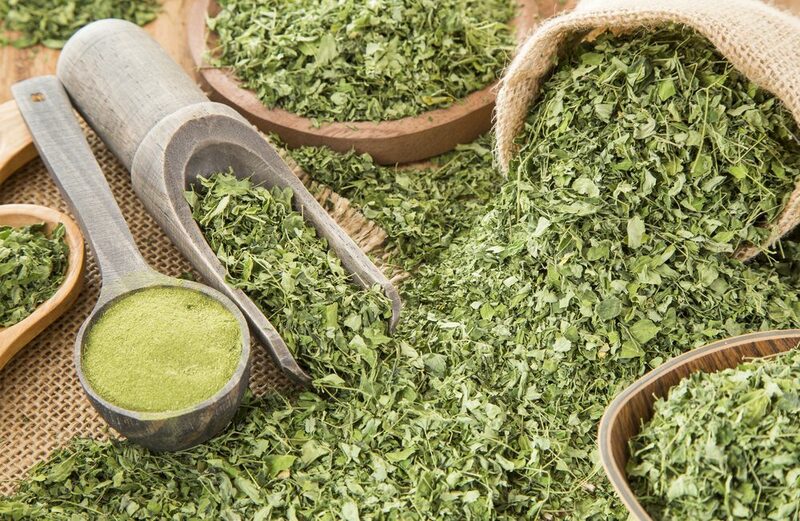 Nicaraguan practitioners use moringa buds to sooth headaches, while doctors in Senegal prescribe it to treat weakness and dizziness. None. 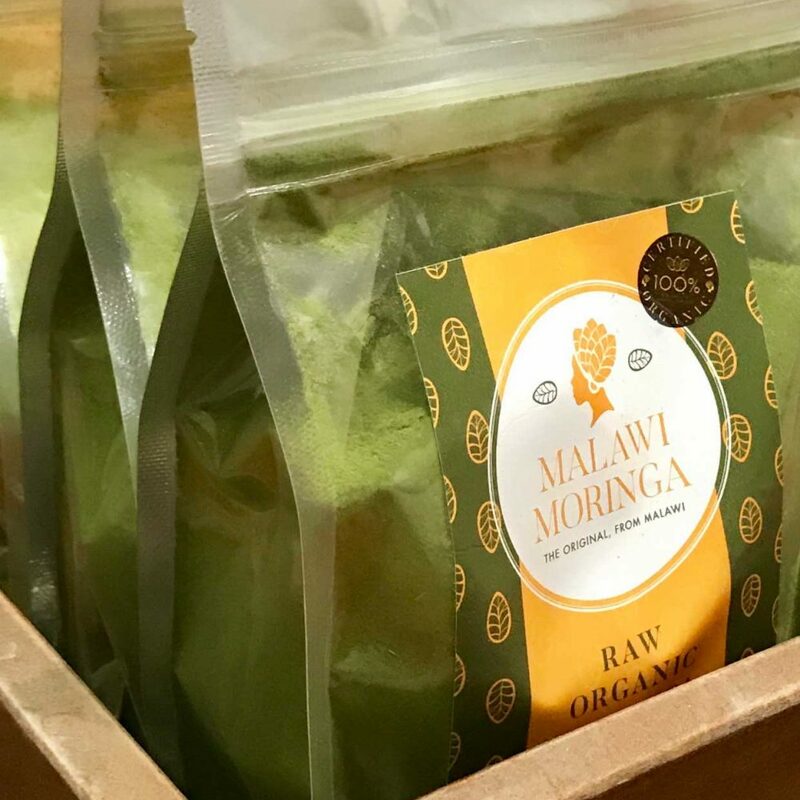 Moringa is a vegetarian/ vegan product contains ZERO sugar, salt, starch, yeast, wheat, corn, soy, milk, egg, shellfish or preservatives and is gluten free. 4 X Vitamin A of carrots. 4 X Vitamin C of oranges. 17 X calcium of milk. 3 X potassium of bananas. Excellent source of Amino acids (Amino acids form proteins). It is an excellent source of protein, fibre, magnesium and natural anti-inflammatories.